Feel the “Elul” in the air … Laser Shuuber serving: “המעוררים” Indeed, it was difficult to muster all the greatest chassidic singers, but after the event, when it occurred, the result is especially impressive . Laizer Shweber a business man of Telstone, composed numerous songs over the years with a “Yeshivah aroma”. This Ellul he brought together in one studio the best singers with chassidish soul. Shweber, graduated in “Ateret Israel” Yeshivah and in “Chevron Yerushalaim” , deals with music since a young age, but at the age of 25, the spring of his melodies began to flow. 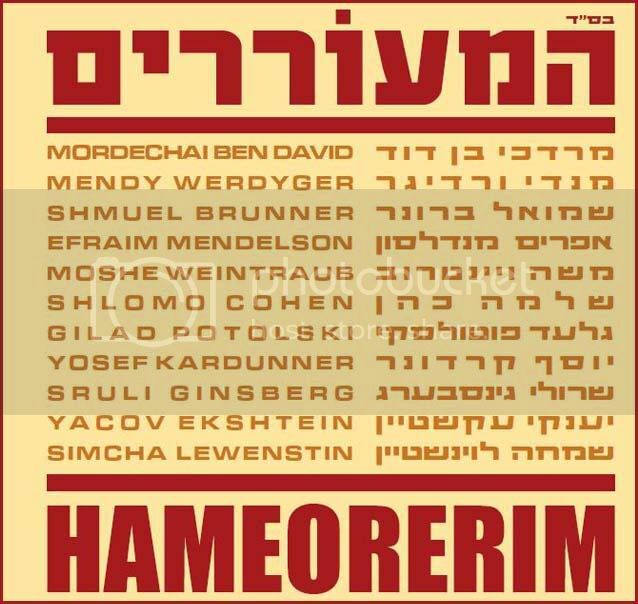 After two years he produced his first album where one of the songs shown above the rest and is remembered to this day: “Adir Ba’marom” and it was sung/performed by “Tzlil Va’zemer” children choir . Laizer is a melody compositor but not a singer, that is the reason that best of Chassidic singers of the world like Mordechai Ben David and Mendy Werdyger, Sruly Ginsberg, Shlomo Cohen, Yosef Karduner etc. sing his melodious compositions which are vibrant and sentimental. The decission to dedicate a full album to Yomim Noroyim, come from a lot of melodic material from the Tefilos, the work continued with intensive action. at the music studio for over one year . Listening to “Ha’meorerim” album brought back the listener to Elul atmosphere at the Yeshives. The first single KOL NU was singed by Schlomo Cohen, and the adaptation is from Jeff Horwitz. To hear 2 selections please click on the play button below.